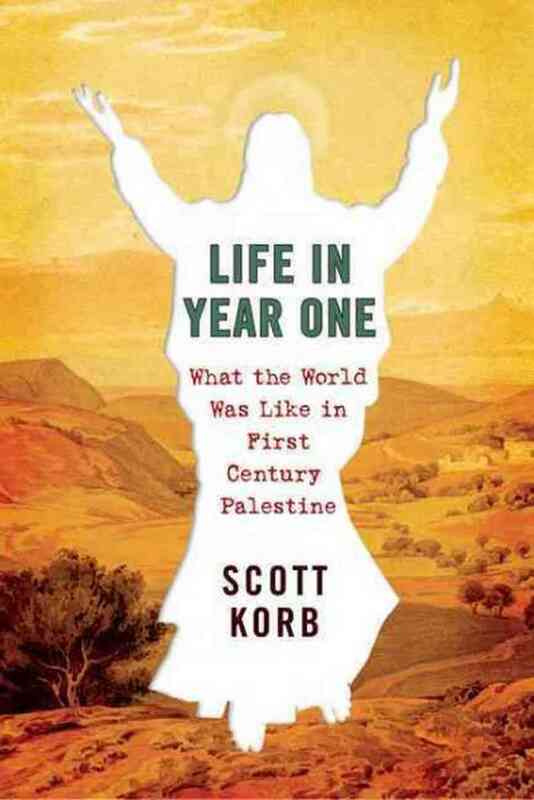 A FEW YEARS AGO I wrote a book about daily life in first-century Palestine. As sometimes happens, the book came about because a publisher, knowing both my previous writing about Christianity and my work as a historian (albeit of American slavery), reached out and asked if I might be interested. Sure I was. We worked out a deal. I arranged for a few research assistants. Early in the planning and in my correspondence with my editor, we referred to this project as “The Jesus Book.” Its release was scheduled to correspond with the following Easter. And yet throughout the book and even with the graphic design of the hardcover’s dust jacket — featuring the cutout shape of an ascending Christ against a Galilean landscape — I insisted that mine was not a book about Jesus. This possibility so enthralled and amused me that one early idea for the book’s title was simply: This is Not a Book about Jesus. This, I believed, would make my intentions as plain as possible while also playfully capitalizing on what writers and publishers hope “Jesus” in a title does for books in America: sell them. We went with something less cute. But, while for our purposes any real-life itinerant like Jesus would mainly be [in Flannery O’Connor’s words] a “ragged figure who moves from tree to tree” across these pages, when the moving did eventually stop and he called out in a loud voice, “My God, my God, why have you abandoned me” — well, at his most ragged this man stopped moving from tree to tree and was nailed to one, giving us reason finally to pause and take a look at him. I then went on to describe crucifixion, a very common form of Roman torture in occupied Palestine, and also the very good possibility that Jesus’ body was eaten by birds and dogs. If all that weren’t enough, the book ends with a modern-day tour of Jesus’ mythical birthplace: Bethlehem, behind an Israeli security wall. We make claims about Jesus that reflect both how we understand him and how we understand ourselves. He becomes, in a sense, our Jesus. And … who our Jesus is always matters a great deal — even to scholars. For even as one person decides that questions about his literacy don’t really matter, to some other person, the idea that Jesus could read even this book might be an article of faith. My sense of who Jesus was — an illiterate peasant and radical preacher born in Nazareth, who died at the hands of Rome and was left on the cross to be devoured by animals — says a great deal about what Jesus means to me. In short, Christian ethics are entirely of this world and a threat to worldly power. In writing about the Jesus of history, in claiming to excavate him from the mythology that preserved his life in the form of a story (or several stories), what always matters more than who he was then is what he means today. If his is the most consequential life ever lived, the tautology says it’s only and always because of the consequences. The line about Jesus’ most consequential life comes from Pulitzer Prize winner Lawrence Wright, who makes the claim on the back of Reza Aslan’s new book Zealot: The Life and Times of Jesus of Nazareth. (Full disclosure: Aslan’s endnotes refer once to my “Jesus Book,” Life in Year One.) Zealot is a biography and history of early Christianity whose central premise is that to understand who Jesus was we must better understand the world he lived in. This is Roman Palestine, an occupied land. The first third of Aslan’s book brilliantly paints this bloody backdrop, which ends in 70 c.e. with the total annihilation of Jerusalem, more than three decades after Jesus was killed and about three decades before the gospels would first take shape. Those early stories would, Aslan argues, work to tame Jesus’ rebelliousness, transforming him “from a fierce Jewish nationalist into a pacifist preacher of good works whose kingdom was not of this world.” At a time when, in Aslan’s words, the Jewish religion had been “made a pariah” (indeed, you may grow tired of him saying this), the Jesus movement’s evangelists needed another story, one that, in addition to softening Jesus’ image, also shifted the blame for his death from Rome to the Jewish authorities and the nation as a whole (“pas ho laos” in Greek, Aslan translates): “May his blood be on our heads, and on our children!” (Matthew 27:25). This is the Jesus best known today. Aslan’s entire project, however, is to remind us that the Jesus of history was a Jew in an occupied territory and was possessed of the same nationalist zeal that would one day lead to full-on revolt against the occupiers. And his single death — a state execution for sedition, his crime plainly and unironically displayed on the plaque above his head —anticipated thousands and thousands and thousands more. Aslan’s genre in Zealot is time-tested. Modern studies of the historical Jesus date — in various forms that all rely on a number of techniques — to the 18th century, though the portraits drawn of Jesus have varied radically (as have the portraits’ believability). The phrase “historical Jesus” was coined by Albert Schweitzer in 1906; Schweitzer’s Jesus, preparing his followers for an imminent apocalypse, was “not teacher, not a casuist; He was an imperious ruler.” Other recent favorites for me are Garry Wills’s What Jesus Meant, a combination of scholarship and devotional writing that argues against using Jesus for modern political purposes, and John Dominic Crossan’s Jesus: A Revolutionary Biography, in which Jesus, perhaps influenced by Greek ideas, is cast as a “peasant Jewish Cynic,” whose entire ministry is centered on “the combination of free healing and common eating, a religious and economic egalitarianism that negated alike and at once the hierarchical and patronal normalcies of Jewish religion and Roman power” (italics in original). Jesus’ symbolic destruction simply actualized what he had already said in his teachings, effected in his healings, and realized in his mission of open commensality. But the confined and tinderbox atmosphere of the Temple at Passover, especially under Pilate, was not the same as the atmosphere in the rural reaches of Galilee […] and the soldiers moved in immediately to arrest him. When Jesus calls himself the Son of Man, using the description from Daniel as a title, he is making a clear statement about how he views his identity and his mission. He is associating himself with the paradigm of the Davidic messiah, the king who will rule on earth on God’s behalf, who will gather the twelve tribes of Israel (in Jesus’s case, through his twelve apostles, who will “sit on twelve thrones”) and restore the nation of Israel to its former glory. He is claiming the same position as King David, “at the right hand of the Power.” In short, he is calling himself king. If one knew nothing else about Jesus of Nazareth save that he was crucified by Rome, one would know practically all that was needed to uncover who he was, what he was, and why he ended up nailed to a cross. His offense, in the eyes of Rome, is self-evident. It was etched upon a plaque and placed above his head for all to see: Jesus of Nazareth, King of the Jews. His crime was daring to assume kingly ambitions. The final third of Zealot offers a cautionary tale of how everything went wrong with the Jesus movement as the revolutionary zeal of its leader faded in the many tellings of his life and the revision of his message over the decades of bickering following his execution. The worldly leader was reimagined as the creator of the world through the story of his resurrection. And while Aslan makes somewhat conflicting claims about the incredible rise of Christianity — was it by way of the “educated, urbanized, Greek-speaking Diaspora Jews who would become the primary vehicles for the expansion of the new faith” or because of “the fervor with which the first followers of Jesus believed in his resurrection”? — what becomes clear is that Jesus’ usefulness as a challenge to power was lost the moment Christians first believed he rose from the dead. For Aslan, that’s been the worst consequence of the most consequential life ever lived. Scott Korb is the author of Light Without Fire: The Making of America’s First Muslim College, forthcoming.